Singapore, 25 March 2019 – The Singapore Chinese Cultural Centre (SCCC) announces its Arts Support Framework today as part of its ongoing efforts to support the arts and cultural ecosystem. Consisting of the Arts Housing Programme, Visual Arts Partnership and Artspace@SCCC, the framework offers opportunities for local arts and cultural groups to develop and present their works in SCCC. Following an open call for submissions in late 2018, the Arts Housing Programme will welcome its first partners to move into SCCC from April onwards. The programme offers both established and emerging organisations affordable spaces for rehearsals and administrative use. 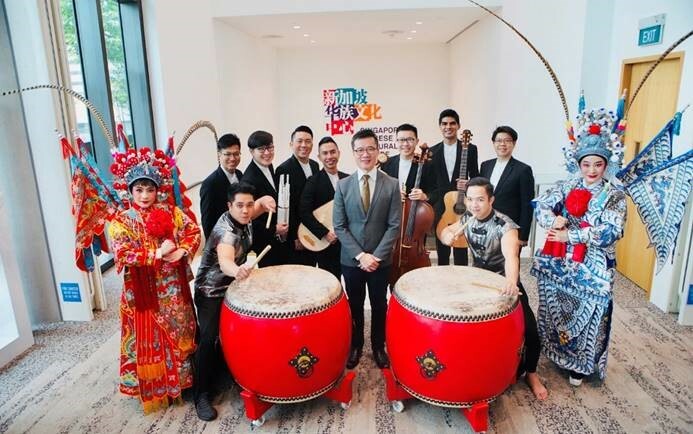 The first three groups selected for the programme are Drum Feng, a group of young percussionists known for its stimulating performances; Nam Hwa Opera, one of Singapore’s most established Teochew opera companies; and The TENG Company, a collective known for its unique fusion of Asian and Western music. As part of the partnership, the groups will also be working with the centre to develop workshops, performances and programmes for the public to enjoy. SCCC has introduced the Visual Arts Partnership to address the challenge faced by visual arts groups in finding suitable exhibition spaces. The initiative is open to local arts groups to present their major exhibitions at the centre on a regular basis. Kicking off the first of such partnerships, the SCCC signed Memorandums of Understanding (MOUs) with eight local groups, comprising the Federation of Art Societies (Singapore), Artists Society of Singapore, Modern Art Society Singapore, Sculpture Society (Singapore), Siaw-Tao Chinese Seal-Carving, Calligraphy & Painting Society, The Singapore Art Society, The Society of Chinese Artists and The Singapore Watercolour Society. In addition, local artists and groups are also invited to make use of the public spaces in SCCC to showcase their art pieces through the Artspace@SCCC initiative. These exhibition spaces are located at key areas within the centre, and provide a platform for the public to enjoy the works by our talented local artists. Current exhibitions under this initiative comprise an exhibition by the Federation of Art Societies (Singapore) at the Multi-Purpose Hall foyer, showcasing works completed over the last ten years that offer new perspectives to the familiar sights of Singapore’s daily life; and the Sculptures Walk @ SCCC, a year-long partnership with the Sculpture Society (Singapore) to display eight exceptional works by five local sculptors on Levels 1 and 9 of SCCC.